When tortillas are involved, there is the question of whether to use flour or corn tortillas. But first, let’s explore a bit of history. Corn tortillas came onto the scene first, and have stuck around for thousands of years. 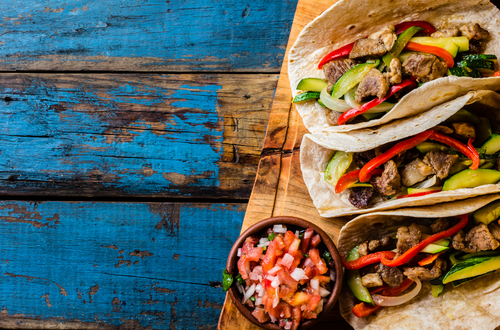 It’s believed that Spanish Conquistador Hernán Cortés coined the term “tortilla” when he arrived in Mexico in 1519. As for flour tortillas, they came about largely due to Spanish colonizers and Jewish immigrants refusing to consume corn, the latter because it was not considered kosher. With the little bit of history established, we can now move on. When you want to prepare a good breakfast taco, a rule of thumb to keep in mind is flour tortillas make for a sturdier taco. Because these tacos can be messy, four tortillas will generally do a better job of not falling apart because of pressure. If you’re planning on using eggs and several salsas, the moisture may cause a corn tortilla to become soggy. Fish tacos, on the other hand, can probably benefit from a corn tortilla. Mahi-mahi, tilapia, these are examples of fish tacos where a corn tortilla will do a better job and add just the right touch of flavor to the taco. We can’t forget the burrito. In fact, burritos may be the reason why flour tortillas continue to outsell corn tortillas in the United States. 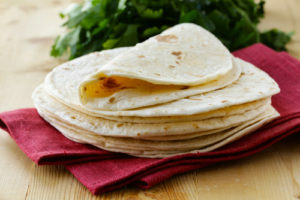 Flour tortillas are very good at holding the numerous amount of ingredients found in burritos including salsa, cheese, beans, guacamole and plenty more. When it comes to tortillas, you can go for store bought or you can choose some freshly made ones. Tortillas have evolved to the point where there is a science of sorts behind them. 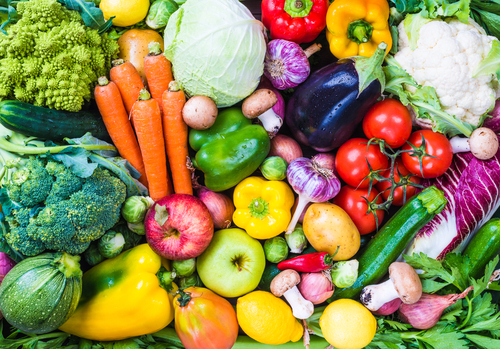 It’s worth looking into if you’d like to know more about what you’re buying and consuming. A traditional tortilla has very few ingredients. Flour tortillas consist of water, flour, oil, and salt and perhaps a leavening agent. 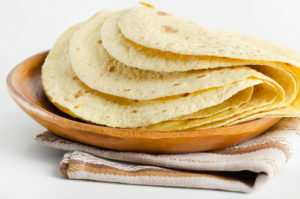 Corn tortillas are made of lime, corn, water, and salt. To keep their softness, tortillas have cellulose gum and guar gum, and the super soft ones tend to be the type of tortillas most tortilla manufacturers aim for. As for how to buy tortillas, you want to buy in quantities that you know you’ll be using, and you definitely want to read the labels. The fewer ingredients the tortilla has, the better its quality. On that note, these ingredients should be names you can actually pronounce. For flour tortillas, you want to try and stick to unbleached flour. The shelf life of tortillas can range from a few days for freshly made ones to a long time if you opt for mass market ones. While they may last long, it’s best to approach tortillas the way you would fresh produce. Buy them and use them as soon as possible, freeze the ones you don’t use, and thaw them in your refrigerator. Begin by placing all of the ingredients for the tortillas in a food processor and mixing until it’s relatively smooth. If the mixture has a bit of texture, that’s fine. Shape the dough into tortillas and then spread them out in circles on a sheet, making sure they’re as even as possible. Place them in a dehydrator at 105 degrees Fahrenheit for four hours. Once the tortillas are ready, flip them over and remove the sheet. Allow the tortillas to properly dry for at least two hours or more. If the tortillas are soft, pliable, and dry, they’re ready to go. For the mince, drain and rinse the walnuts and seeds before placing them in a food processor. Make sure they’re properly broken down before adding the rest of the mince ingredients. Once the mixture is thoroughly combined, place the mince in a bowl until it’s time to serve. To prepare the tacos, use six of the tortillas and the lettuce leaves. Use a heaping tablespoon of the mince to fill the leaves as this will make it easier to keep the taco firm. Follow by adding the parsley, carrot, tomatoes, radish and avocado. Begin by mixing the allspice, chile powders, cumin, salt, and oregano in a small dish. Make sure the pork is patted dry and place it in a Dutch oven. Using a small paring knife, insert the tip of it into the pork to create a slit and then follow by adding a garlic sliver into the slit. Repeat the process about a dozen times or so, making sure to create slits in different parts of the pork. Once that’s done, rub the chile powder all over the pork and ensure that it’s properly coated. Heat your oven to 350 degrees. Place the pieces of orange and onion slices around the pork and follow by pouring the beer and half a cup of water around the pork, making sure not to pour it over. Cover the pot and place it in the oven. Turn down the temperature to 325 degrees and cook for about an hour and a half or so. Check the liquid in the pan and should it be necessary, add more water. Continue to cook while keeping an occasional eye on the liquid until the pork is fall-apart tender. This should take another hour and a half. Allow the pork to cool before handling it and then transfer it over to a cutting board, using a knife and fork to chop it into rough shreds. Get rid of the orange pieces from the pan juice as well as any excess fat. Place the pork back into the pan juices and season it with some salt for taste. Don’t forget the tortillas!